In chemistry the naming of compounds is referred to as nomenclature. There are many resources for nomenclature of inorganic compounds on the Internet. The following Youtube videos are recommended by the author. Watch the videos to learn the process. Then go to the last link in this section of practice. 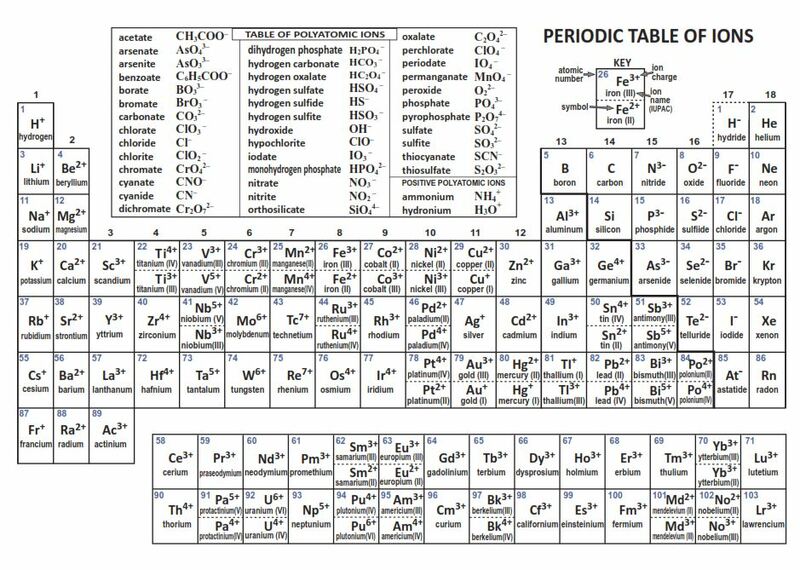 A periodic table of ions is available at this link. This is a good reference to have. Naming Inorganic Compounds the Easy Way! Link to a Google search page to find Practice names and pratice naming compounds. The link is a list of URLs where worksheets can be found.